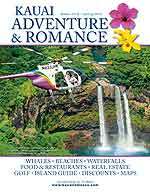 Looking for some adventure on your Maui vacation? Adventure, their #1 goal is to ensure that you have fun. 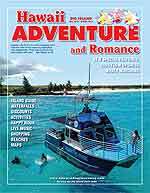 Aqua Adventures Maui snuba & snorkel trip leaves from south Maui’s Maalaea Harbor at 7:15am. This is later than many of the other boats, but that doesn’t matter. Aqua Adventure is fast. In fact, she is so fast, she’ll be one of the first ones to Molokini Crater – a crescent-shaped island formed by a volcanic cinder cone, located off the south Maui coast. This gives your captain the opportunity to select the best location for your Snorkel/SNUBA adventure. Of course, that could change when you spend a little time, during the season, for a close encounter of the “whale kind” along the way. Whale watching is included on all trips during whale season (December – April). On route to Molokini Crater you’ll enjoy a delicious continental breakfast of fresh island fruit, pastries, bagels with cream cheese and jelly, coffee and juice. Keep your eyes open for Maui’s acrobatic spinner and bottlenose dolphins along the way. They love to “bow ride” on the boats wake and pressure wave as we cruise along at a brisk 20 knots. Once at Molokini, your instructor will show you how to use your equipment, and go over some essential safety points, then it’s into the water. After Molokini, it’s on to “Turtle Arches”, located off the Makena Coast. Many of these green sea turtles are used to snorkelers and divers and will approach quite close. However you are not permitted to touch or “ride” the turtles as they’re one of Hawaii’s protected marine species. After you’re done snorkeling and diving with the turtles, a great deli-style lunch with a wide assortment of sandwich fixings will be waiting on board. On the ride back home, enjoy a cold beer, Maui Tai or Rum & Coke. You’ll return to Maalaea Harbor at 12:00 noon. If you want to avoid the crowds and get true personalized service, then join Aqua Adventure for the Maui snorkeling and snuba experience of a lifetime.